Stephanie Merritt Driscoll's Blog: Office of Disability Adjudication and Review (ODAR)? Office of Disability Adjudication and Review (ODAR)? If you have been injured, or have been diagnosed with a serious illness—your ability to work is impacted. If you can’t work, then paying your monthly bills can be a serious challenge. In many cases, one has more than just themselves to think about. Not working affects the whole family. Fortunately, in America we have social assistance programs to aid people who are not able to be gainfully employed because of illness or injury. The Social Security Administration (SSA) has several programs that can make one’s life easier. The process for receiving such benefits can, at times, be a lengthy and involved process. It often requires enlisting the help of an attorney who is skilled in Social Security disability law. If you have applied for benefits from the Social Security Administration (SSA), it is possible that you were denied. If that is the case, you can appeal the SSA decision. 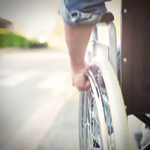 Anyone who requires benefits, such as Social Security Disability Insurance (SSDI) or Supplemental Security Income (SSI), is going to want to appeal such a decision. If you are in legitimate need of assistance, then you cannot afford to do otherwise. With more than 1,500 administrative law judges (ALJ) across the country, and over 636,285 decisions at the hearing level are made each year. For more information about your local ODAR office, please click here and click on the area of the map at the bottom where you reside. The process for applying for benefits can be challenging, and you will not always get approved on the first try. Stephanie Merritt Driscoll can help you with appealing your decision, serving ODAR offices in Los Angeles, Orange, San Diego, Riverside and San Bernardino Counties. Please contact us to today for a free consultation.